The aim of this lesson is for you to drive in poor visibility while making appropriate choices for your speed and position on the road. You’ll need to find 50kph zones at night, in rain, in fog and in sunstrike/glare (obviously not all at the same time). 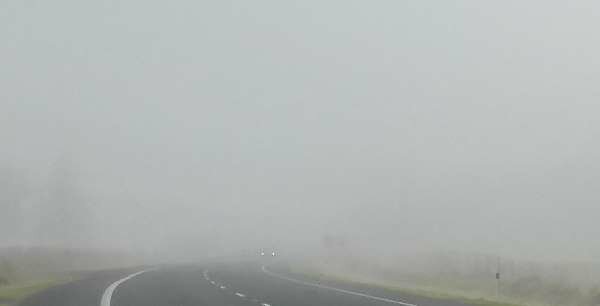 For more detailed information read our article on driving in low visibility situations here. Make sure the windscreen is clean – if it’s drizzle, there might not be enough water to clean the screen straight away and if it’s dirty it could smear, reducing your visibility. Turn on your windscreen wipers to the appropriate speed, either intermittent, normal or fast. If your vehicle has automatic windscreen wipers it might choose this for you. Keep your windscreen clean – this is particularly important as the dirtier it is, the more light will be refracted on the dirt, affecting your visibility. If the sun is too low and you can’t see, pull over in a safe place on the side of the road until conditions improve. Be aware that if you pull over, other drivers might not see you because of the sunstrike, so ensure you’re off the road. For more information about driving in poor visibility, check out this article.